Ever since 'Till the Sky Falls Down' helped define the sound of Dash Berlin, fans have been waiting for the next expression of musical production to spring forth from the DJ/producer. Now, ‘We Are (Part 1)’, his new album, has been scheduled for release on 29 August on Armada Records. Dash has been regularly communicating with fans online and despite being limited by the 140 character medium, it is obvious that Dash has been brimming with pride with each and every album teaser. Finding a breakaway track in the album would be hard as all eight tracks are well-produced, and each one may well be right at home on the radio. 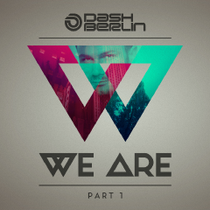 3LAU, John Dahlback, Rigby, Roxanne Emery, Jay Cosmic, BullySongs, Adam Jensen, Disfunktion, Chris Arnott, Bright Lights, Syzz and Collin McLoughlin were all involved in the making of 'We Are', helping to build the tracks that should shape Dash’s career for the next few years.